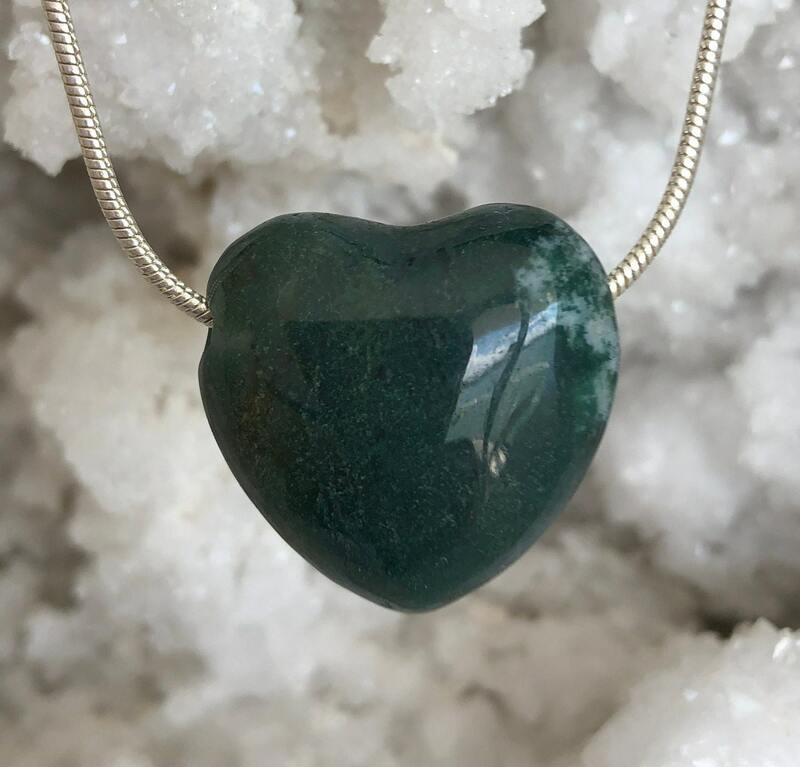 Receive a lovely and unique Green Moss Agate polished crystal heart that has beautiful shades of green. What I love about this heart is that when you look within. This heart almost looks like an aquarium of moss with visible spots of clear quartz growth within- a real beauty!